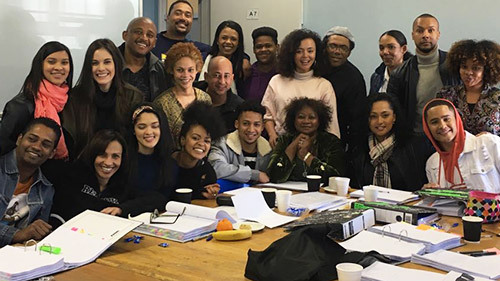 Arendsvlei Teasers March 2019 – Upcoming KykNET & Kie drama series ‘Arendsvlei’ teasers, previews, updates, episodes, highlights and spoilers for March 2019. Ronel denies that Lionel hit her, but refuses to tell the truth. Kim scratches in Claudia’s business. Nicolene battles with her feelings for Anton and receives support in a surprising manner. Samantha is furious when she finds out the truth about her car. Janice and Lionel plot dark plans, and so does Anton. Ronel presses hard for an intervention for Chantel and Valdonia. All around Arendsvlei it becomes more difficult to avoid feelings, and Janice and Lionel get a wake-up call, and have to wake up. Family relationships are influenced by an impulsive decision by Janice and Lionel. Thys tries to get the truth from Ronel about her true feelings for him. The connection between Thys and Ronel is noticed. Thys and Janice have an honest conversation about their situation. Lee-Roy notices there is something between Thys and Ronel. He enquires but Ronel shields. In Clanwilliam Janice’s emotions run high about Clarissa. In Arendsvlei Beatrice and Claudia wonder about Thys and Ronel’s relationship. Ronel and Thys as well as Lionel and Janice are at cross-roads. Wendy plays with Ruiter. Johnny almost betrays himself with Gertie. Janice cuts short the retreat with Lionel. Hein takes control of the situation and Anton sees red. It’s the evening of Ronel’s play and Arendsvlei’s new couples. Arendsvlei airs on kykNET & Kie from Mondays to Wednesdays at 20h00.